With Valentine's Day fast approaching you may be on the hunt for something to bake and share with your girls, man, family, or someone special. I have the perfect recipe. It's SO simple and takes no time to throw together, which is a complete shocker because this my friends looks like a piece of art! The cake itself is so moist, fresh and incredibly chocolately, and no one will be able to tell it's a cheater cake! 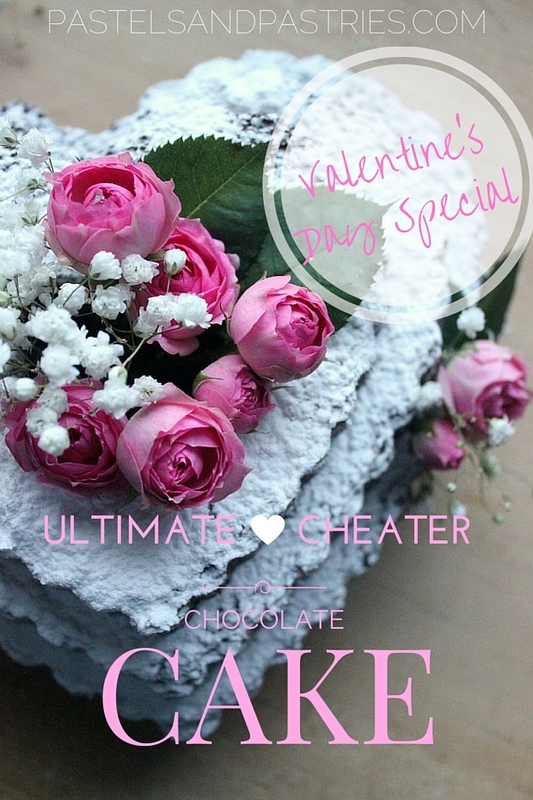 So what is a cheater cake? You start with a store bought cake mix, but add different ingredients to really take the cake to the next level. I promise! It definitely wows, and since it's basically from scratch, you can totally say it is! Right? 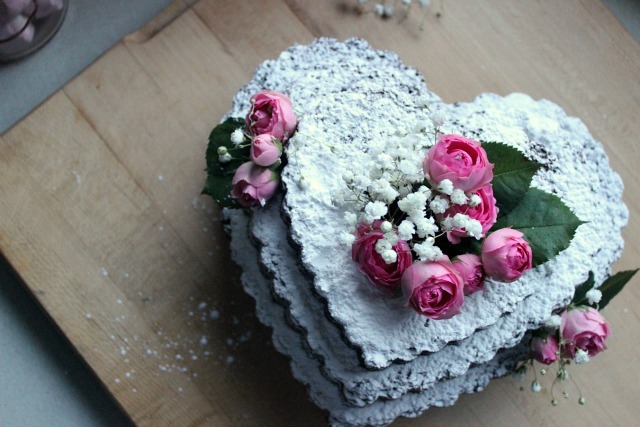 To make the cake extra special for Valentine's Day I used this Nordic Ware Scallop Heart Budnt Cake Pan. How beautifully sculpted does it look? Kinda looks like I spent hours making a three tiered, heart-shaped chocolate mountain. All I had to do was spray the pan enough to ensure it came out perfectly. 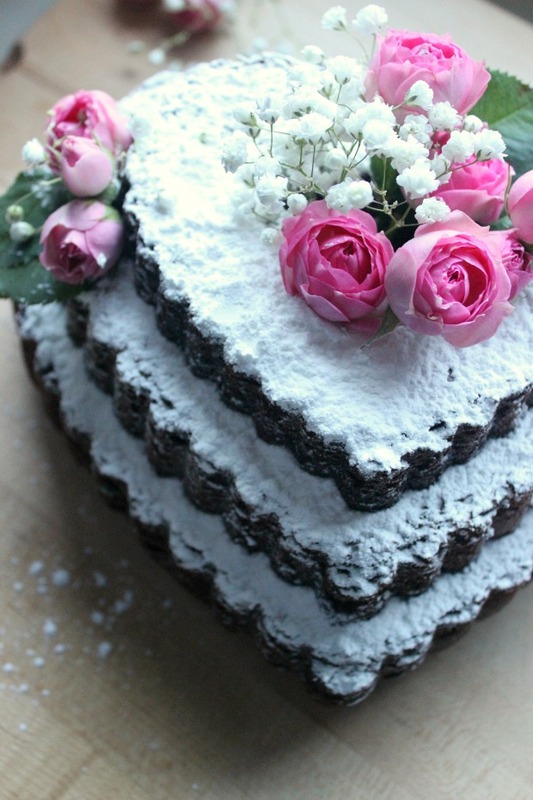 I then dusted icing sugar on top and adorned the cake with some petite roses! Parfait, non? Okay, this cake is STUNNING and seems like the type of piece people pay big bucks to have at a wedding or shower! The additions to the cake mix also sound like they'd make for an extra delicious cake. 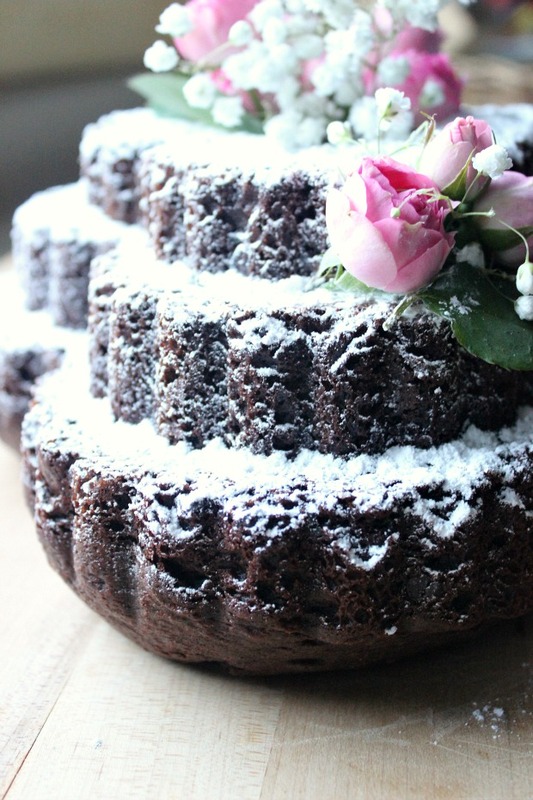 I need to remember this next time I need a cake, because seriously....genius hack! Yes, and it's so easy to put together! I literally just stuck some mini roses into the cake. Who even needs to pay the big bucks anymore?! This cake is absolutely amazing! I can't believe it's so easy, you've made it look like something a professional would do. Love it!